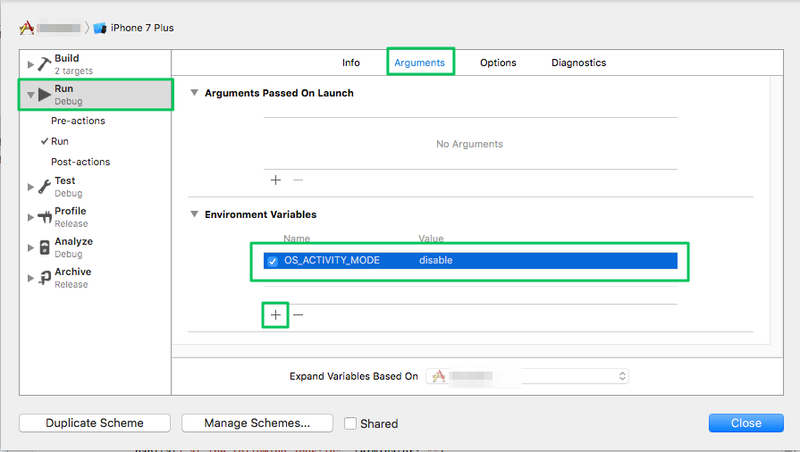 Full credit to Russell Ivanovic for his tweet for figuring out how to disable Xcode 8’s extremely chatty debug console logging. I just wanted this here for my own reference, but perhaps it’s helpful to you as well. If you’re tired of sifting through operating system-level logging to the debug console while you’re debugging your app, it’s actually fairly easy to silence. That’s it! Closing the Scheme editor and re-running your app will produce a beautifully silent console window, leaving you free to see what you wanted to see with print(), or other app-specific info (such as runtime exceptions) without having to sift through all that OS-level logging.